I am so Grateful to you for Taking Time out of your Busy Schedule to see me... Pro Bono! Great seeing you on Friday! 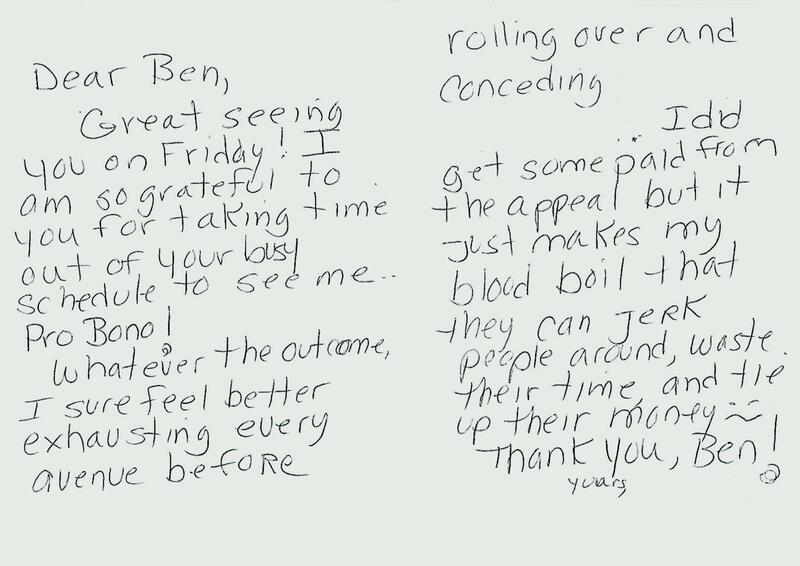 I am so grateful to you for taking time out of your busy schedule to see me... pro bono! Whatever the outcome, I sure feel better exhausting every avenue before rolling over and conceding. I did get some [payment] from the appeal, but it makes my blood boil that they can jerk people around, waste their time, and tie up their money.